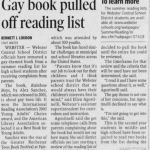 WEBSTER – Webster Central School District officials have removed a gay-themed book from a summer reading list for high school students after receiving complaints from parents. 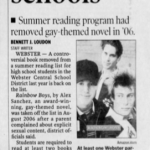 The book, Rainbow Boys, by Alex Sanchez, which was released in 2001, is about gay teen life. 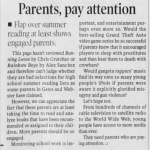 It won the International Reading Association’s 2003 Young Adults’ Choice award, and the American Library Association selected selected it as a Best Book for Young Adults. 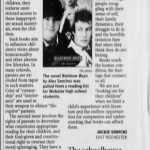 Sanchez was the star of the Greater Rochester Teen Book Festival at Fairport High School in April, which was attended by about 500 youths. 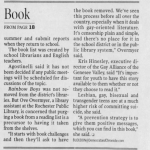 The book has faced similar similar challenges at municipal and school libraries across the United States. 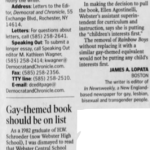 “Parents know that it’s our job to look out for their children and I think parents trust the Webster school district that we would always have their children’s interests first in mind,” said Ellen Agostinelli, Webster’s assistant superintendent for curriculum curriculum and instruction. 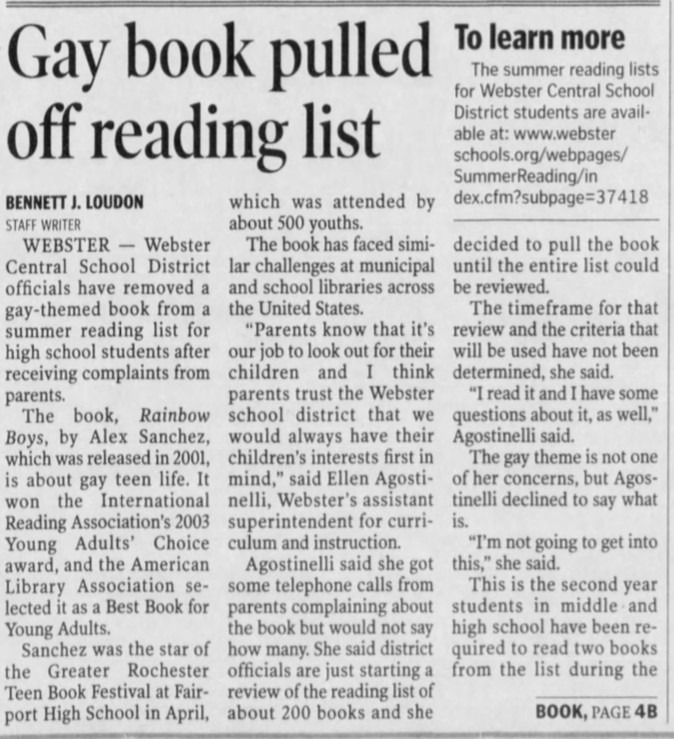 Agostinelli said she got some telephone calls from parents complaining about the book but would not say how many. 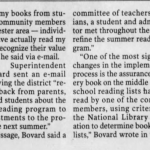 She said district officials are just starting a review of the reading list of about 200 books and she decided to pull the book until the entire list could be reviewed. The timeframe for that review and the criteria that will be used have not been determined, she said. 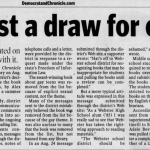 “I read it and I have some questions about it, as well,” Agostinelli said. 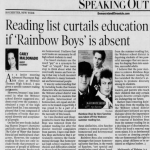 The gay theme is not one of her concerns, but Agostinelli declined to say what is. “I’m not going to get into this,” she said.